Oldham was born in Bangalore, India, where his father was an English officer in the Indian Regiment. Although he was baptized a Roman Catholic, his earliest religious contacts came from Protestant military chaplains and the headmaster of the Madras Christian College. He was converted and became a Methodist at Poona while attending evangelistic services held by William Taylor in 1873. 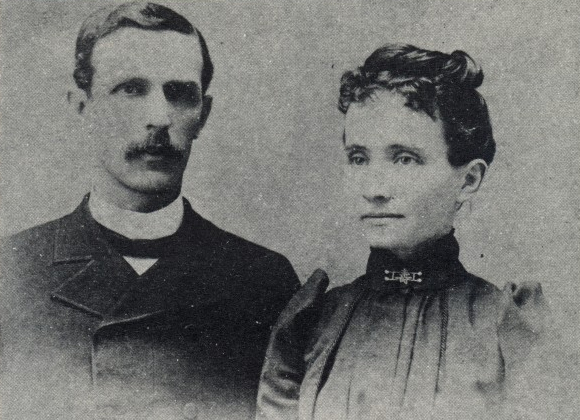 In 1879, married and living in Bangalore, he committed himself to work as a Methodist missionary and traveled to Allegheny College in Meadville, Pennsylvania, for training. In 1885 he was sent to Singapore to initiate a Methodist mission. There he found access to the Chinese merchant population through schools; he established what became the first of a large number of Methodist schools in what was then British Malaya and the Dutch East Indies (Indonesia), as well as the first Methodist Church in Singapore. Oldham left Singapore in 1889 because of his ill health. For the next 15 years he resided in the United States and served as a pastor, lecturer, and secretary for the Methodist Board of Missions. In 1904 he was elected a missionary bishop with responsibility for India and Southeast Asia. In that role he oversaw the rapid expansion of Methodism in the Malay peninsula, the Philippines, and Sumatra. In 1912 he left the missionary episcopacy to serve for four years as one of the three corresponding secretaries of the Methodist Board of Missions in New York. In 1916 he was elected a general superintendent (a Methodist bishop who could function throughout Methodism) and took over the supervision of South America until he retired in 1928. He died in Los Angeles. Oldham participated in the 1910 Edinburgh World Missionary Conference, and his ministry reflected some of the issues that were brought to the fore at Edinburgh. His upbringing in India convinced him of the need for missionaries to understand the religious and cultural context of their work. He was a strong supporter of early efforts at church union in the Philippines and supported the interdenominational Committee on Cooperation in Latin America. In India, Southeast Asia, and the Philippines, he encouraged the development of educational ministries and social ministries as a compliment to evangelistic work. Oldham, William F.. India, Malaysia, and the Philippines: a Practical Study in Missions. New York: Eaton & Mains; Cincinnati: Jennings & Graham, 1914. _____. “Isabella Thoburn, 1840-1901.” In Effective Workers in Needy Fields. New York: Student Volunteer Movement for Foreign Missions, 1902. _____. Isabella Thoburn. Chicago: Jennings & Pye, 1902. _____. Malaysia: Nature’s Wonderland. Cincinnati: Jennings and Graham; New York: Eaton and Mains, 1907. _____. Thoburn: Called of God. New York; Cincinnati: Methodist Book Concern, 1918. Oldham, William F. “Difficulties in the Foreign Mission Field.” In The African, European and Latin American Fields: Addresses Delivered before the Eastern Missionary Convention of the Methodist Episcopal Church, Philadelphia, Pa., October 13-15, 1903. New York: Eaton & Main, 1904. _____. Four Years in Southern Asia: the Quadrennial Report of the Missionary Bishops for Southern Asia to the General Conference of 1908. New York: Board of Foreign Missions, Methodist Episcopal Church, 1908. _____. “Introduction.” In Bishop Frank W. Warne of India: His Conversion, Call to the Ministry, and Other Spiritual Experiences. New York: Board of Foreign Missions, Methodist Episcopal Church, 1915. Badley, Brenton T. Oldham: Beloved of Three Continents. Lucknow: Lucknow Publishing House, 1937. Doraisamy, Theodore R. Oldham, Called of God: Profile of a Pioneer. Singapore: Methodist Book Room, 1979. Tan, Bonny. “William F. Oldham.” National Library Board of Singapore.